Far Cry 5 is an incredible game. It has lush environments, great characters and an even better story that holds it all together… but is that enough? As great as it is, here are several reasons why I think that Far Cry 2 is still the best Far Cry game. I was fortunate enough to review Far Cry 5 just before it released in March, 2018. In the review, I mention how the Far Cry series has always been beautiful. 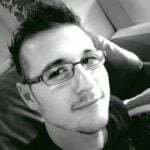 In particular, I reference how Far Cry 2 won a bunch of awards for its beauty. More specifically the way the game depicts fire and how it spreads in fields, destroying just about everything it touches. Fire in Far Cry 5 works in a similar way. Throwing a Molotov, for example, causes a fire to spread. Naturally, its destructive force looks great before it eventually dies down. Given the fact that the game is newer, one would not be remiss for assuming that it would be a step up from its 10-year-old predecessor. Alas, that is not quite right. 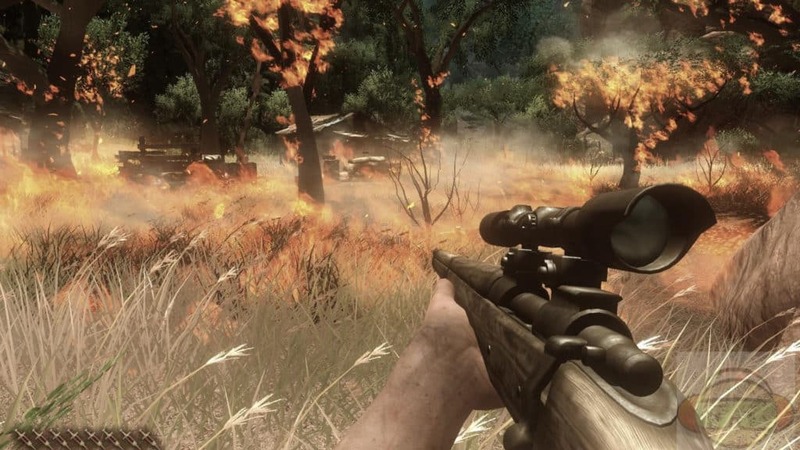 In Far Cry 2, fire tends to spread for days, causing noticeable damage to everything it touches. If grass or flammable objects are near, you sure as hell are guaranteed to see them burn. Interestingly, fire is not the only element from Far Cry 2 that is actually better than in Far Cry 5. 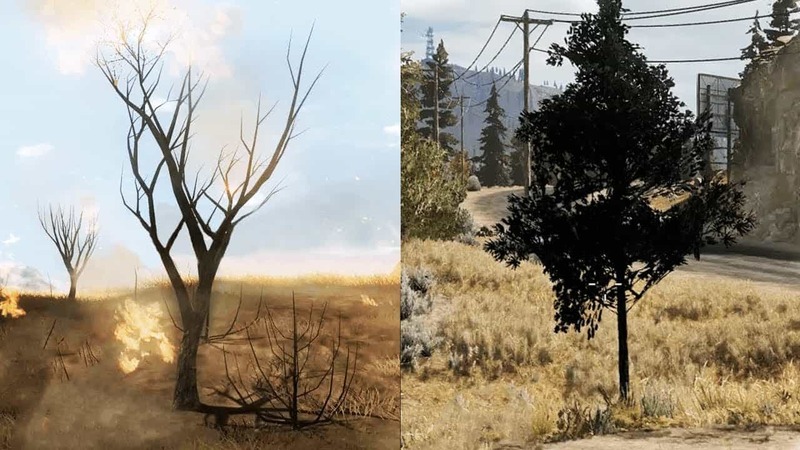 In a video released by YouTuber Crowbcat, you can see just how much detail is present in Far Cry 2. Details that have, unfortunately, gone the way of the dodo in favour of photorealism versus actual realism. As you can see from the video, which is embedded above, various aspects of Far Cry 2, such as animations, fire spread, bullet velocity, vehicle damage and much more, are directly compared to Far Cry 5. In short, the newer title favours visuals over realism. A tradeoff that has allowed for a more visually realistic world, at the expense of the world behaving realistically. 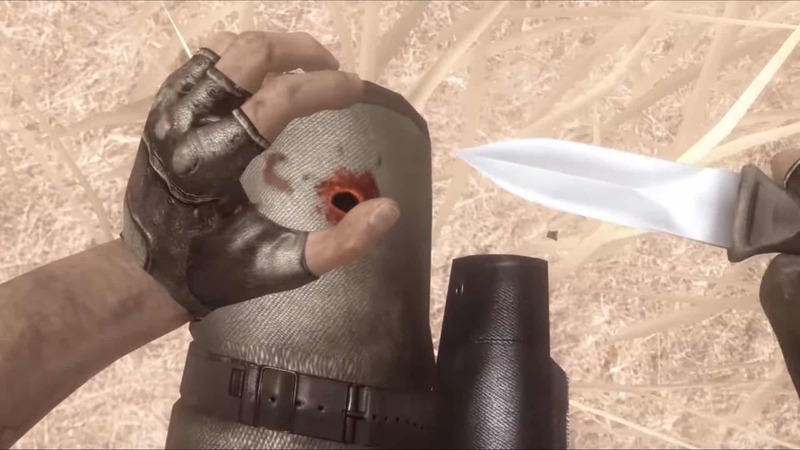 Since I enjoy playing games like Call of Duty: Black Ops and even Modern Warfare II before that, I have been spoiled by the fact that I can pierce thin sheets of metal with bullets. Better still, get a bullet large enough, with a weapon that has enough velocity, and it will even pierce thicker metals and walls. Far Cry 5, however, only has this feature in select bits of wood, and some doors (and once armour piercing rounds are unlocked). Many a time I have had to deal with a Peggie who is hiding behind a door. Instead of being able to kill them through the wood, I would have to wait until they emerge. Only then allowing me to shoot them square in the jaw. It is still good fun, but imagine then, how much more fun it was when I confronted a bunch of Afrikaans-speaking terrorists in the fictional country Far Cry 2 was set in, and could blow their heads off through the various metals, wooden buildings, and cement blockades they had set up. Simply put, it felt more realistic. Unbelievably, in Far Cry 2 you can even blow cement blockades to smithereens. Drive fast and hard enough into one of them, and they get visibly damaged too. So does the car. These are little details that are no longer present in the newer entries in the series. A crying shame, to be honest. Another interesting set of observations made by Crowbcat shows how animations and repercussions, of certain actions, influence the game world differently in each game. For instance, by launching a missile into the horizon, the backfire of the weapon exudes hot, fiery embers and sparks that can set the grass on fire. The exact weapon is featured in both games, but can you guess which one gets the actual fire? One point if you guessed Far Cry 2! Crowbcat also shows off how missiles act more realistically in the 10-year-old game, versus in Far Cry 5. You see, missiles tend to arch when fired, just like how bullets tend to drop or get affected by wind. While it can be argued that games are simpler for not including dropping bullets or arching rockets, there is a certain kind of charm lost because of that. Similarly, near-death animations are also a doozy. In Far Cry 5 you can down an enemy, only for their buddies to pick them up again. After which they return to the fight. Far Cry 2 has this feature too. Only, in Far Cry 2, the enemies did not merely just touch their buddies. Instead, they helped them up, got them to the nearest safe spot, and bandaged them up… in the very location they sustained damage! Similarly, when the player is downed in both games, their Guns for Hire friends will usually do their best to support you. This is just so much more believable in Far Cry 2. That brings me to my last two points: vehicle and personal damage. Vehicle damage has two extremes in Far Cry 5: well and good; and absolutely destroyed. In Far Cry 2 however, this extends to bullet holes through windows, bumper damage, car-doors flying off, and more. Far Cry 2 also features filthy cars! When you blow up a car in Far Cry 2, it properly blows up. Car doors fall off, and windows shatter thanks to the heat. In Far Cry 5, however, it just kind of jumps around a bit – looks cool though. The same thing can be said about bandaging your own wounds. In Far Cry 5, you grab a quick bandage and tie it around your hand. This is good, quick, and it works. In Far Cry 2, you have the exact same mechanic. Except, it is all based on what kind of damage you received. For instance, if I was unfortunate enough to stand in the blast radius of a frag grenade, chances are that I would heal myself by pulling a piece of shrapnel from my leg. Similarly, getting shot in the knee means that either I or my Gun for Hire buddy, would have to dig out the bullet point… with a tool! There are so many similarities between the games that it is hard to think of them as being ten years apart. With that said, the obvious point to make here is that Far Cry has become simpler over the years. While that is in no way a bad thing, there is something to be said about all of those smaller details that would have made the game so much more realistic – if they continued to be included. A term I often hear about games is that the details are what make the game. For that reason (and a few others), Far Cry 2 will forever be the best game in the franchise. Next articleMXGP Pro coming soon to all major platforms! Overwatch free weekend is coming up!